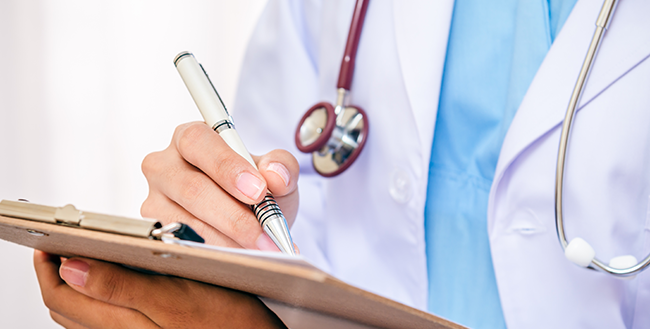 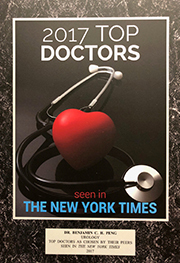 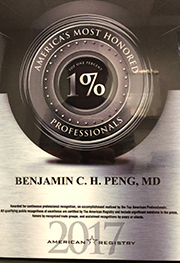 As a result of Dr. Peng doing annual prostate cancer screens at Goldman Sachs, American Express and the American Stock Exchange, Dr. Peng's practice has developed a special rapport with their health centers, and also with City MD. 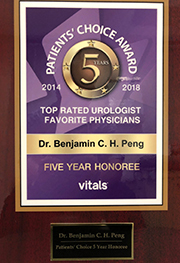 Expeditious consultation appointments for everyone is Dr. Peng's priority. 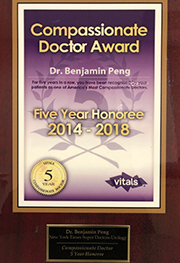 As physician chairman for the 2000 Chinese Community Partnership for Health fundraiser, Dr. Peng helped raise $1.4 million for its further development.